বাংলাদেশঃ ২রা জানুয়ারী ২০১৭ ‘জাতীয় শহীদ দিবস’ উদযাপন করুন! A faction chief of the banned Purba Banglar Communist Party (PBCP), Mofakkhar Hussain Chowdhur, was killed in crossfire in Kushtia in the early hours of today. Chowdhury, known by different names like Shahid Hussain, Madhu Babu, was arrested by a joint team of RAB-3 and RAB-6 from Rupnagar under Mirpur in the capital on December 16 morning, RAB sources said. After interrogation, he told the RAB that all the faction leaders of the party scheduled to meet in Kushtia on the night of December 16. Accordingly, a team of RAB-3 was going to Kushtia to arrest the other leaders. When the team reached near Kushtia town, armed cadres of Chowdhury’s faction fired at the RAB members. The RAB team returned the fire and the gun battle lasted for half an hour. During the gunfight Chowdhury attempted to flee, but two bullets hit him, killing him on the spot. The RAB members recovered two pistols, two magazines, four bullets, and one LG. Two RAB members were also wounded in shootout and undergoing treatment in a hospital. 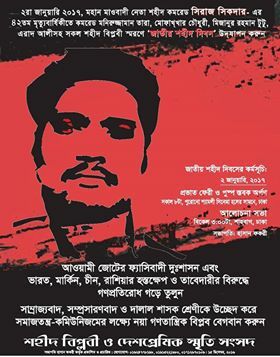 Mofakkhar Chowdhury aka Pravakar Master surely belonged to a different category of “criminals.” A valiant freedom fighter during the war of liberation, Mofakkhar was best known as the think-tank of a two-decade-long underground “armed struggle” in Bangladesh’s south-western and northern regions aimed at establishing communism. 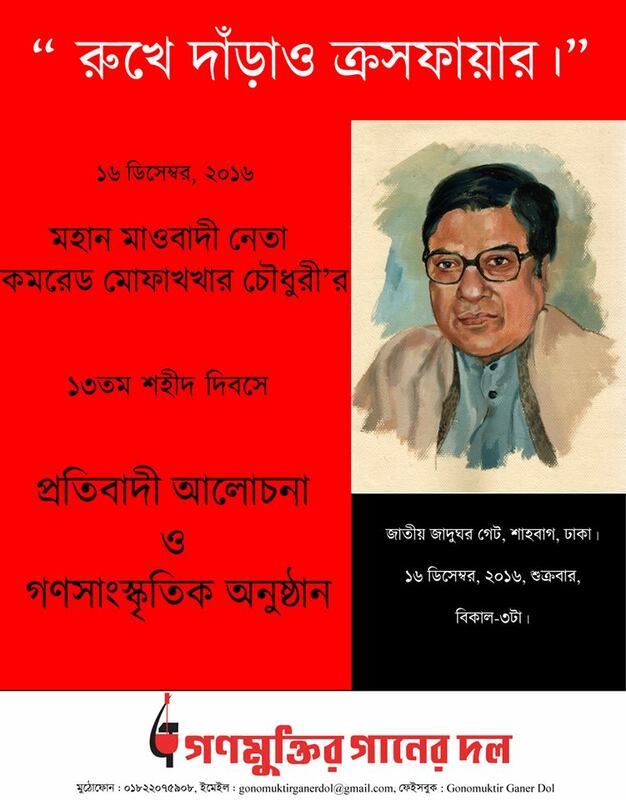 Though many in the left-political camp in Bangladesh strongly disagreed with Mofakkhar’s endorsement of “armed struggle,” his authority on Marxist-Leninist literature was legendary. When RAB arrested him, sacks full of books, booklets, leaflets, posters, and party documents were found in his possession. His death was seen as a high-profile political killing. Earlier this year, after many months of pursuit, I convinced one of Mofakkhar’s deputies (name withheld on request) to allow me an interview. And his version of the story was simply shocking. In 2001, in the run-up to the general elections, an influential BNP leader — who later became a minister (the very person who allegedly sponsored Bangla Bhai and JMJB) — approached PBCP to work as BNP’s hired gun in the northern part of the country during the elections. Mofakkhar Chowdhury and his council turned down the proposal. However, one of his deputies, Abdur Rashid Malitha aka Tapon Malitha, seized that opportunity and worked for the 4-party alliance during the elections, inviting serious annoyance of the PBCP high-command. In 2002, Mofakkhar expelled Tapon Malitha from the party, who later formed PBCP-Janajuddha that became the largest and most feared outlawed communist party in Bangladesh within a year, with active support from the BNP minister already mentioned. In 2003, the minister’s nephew was killed by PBCP cadres. 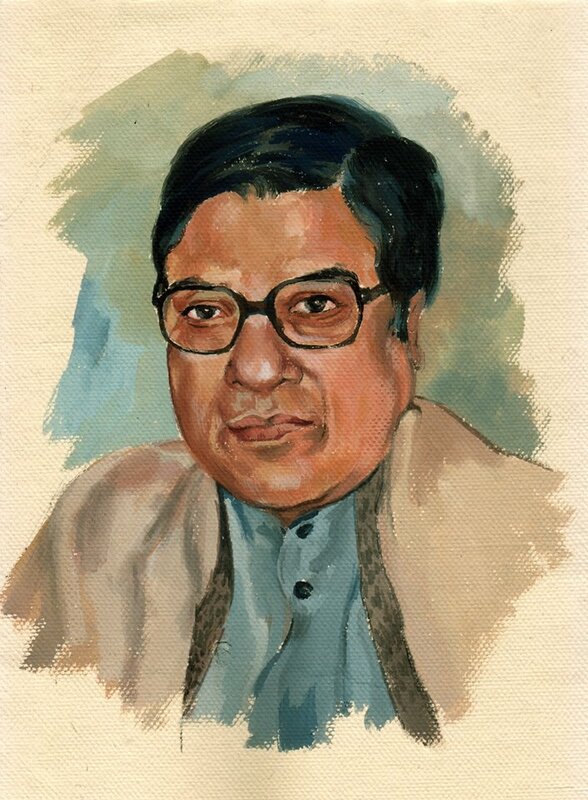 Mofakkhar Chowdhury was held personally responsible for the murder by the minister and Tapon Malitha was given an assignment to avenge the killing. As Malitha failed, the minister brought in Bangla Bhai. 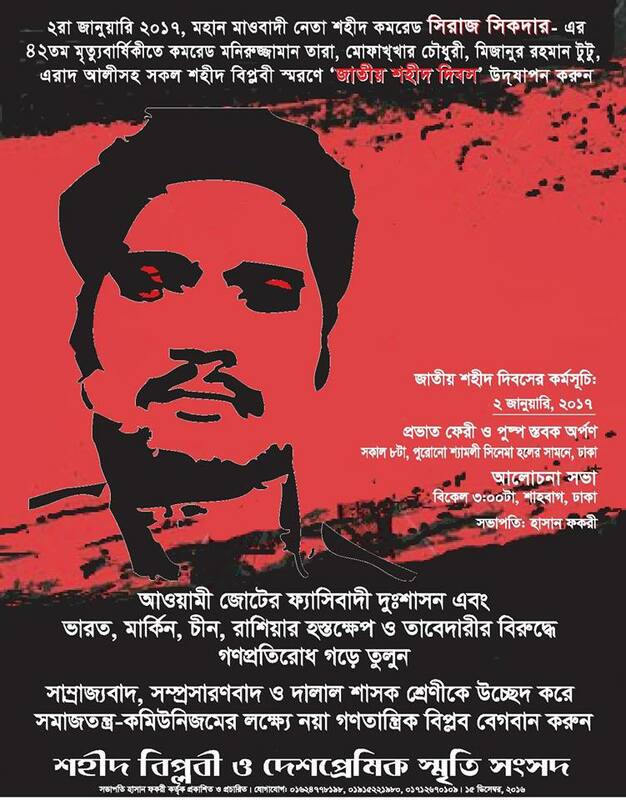 Under his sponsorship, Bangla Bhai and JMJB unleashed a cleansing operation against the Mofakkar-led faction of the PBCP in Rajshahi, Naogaon, and Natore, killing more than 36 sharbahara men, mostly followers of Mofakkhar, who, however, escaped the onslaught and fled to Dhaka. “Political parties (BNP/AL) do use the sharbaharas during elections. And that Bangla Bhai was sponsored by a minister is true, according to my knowledge. But, the claim that RAB follows a hit-list prepared by Tapon Malitha is totally baseless, to some extent it’s hilarious. How can you trust these people: extortionists and dacoits? There is no such hit-list. RAB is engaged in uprooting a tumor that has crippled the life of the region, not carrying out a political campaign,” a former official of RAB-5 (name withheld on request) told me when I checked the claim with him.